Brazil is experiencing an exciting blossoming of the arts and Contemporary Art Brazil is a must read for anyone interested in expanding their knowledge of the contemporary culture of South America. 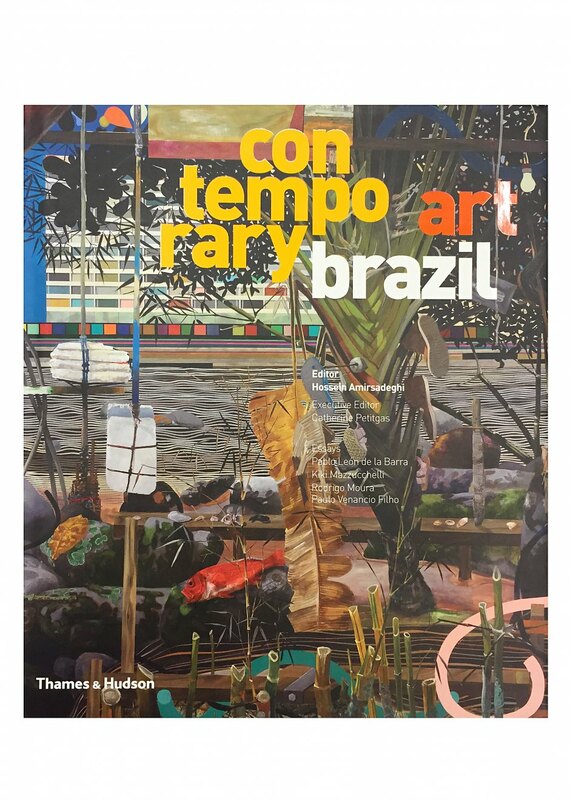 Extensively illustrated and based on the most up-to-date research, Contemporary Art Brazil brings together 120 of the most important Brazilians who are currently active in the fine arts, including artists, gallerists, heads of institutions, critical thinkers and collectors. This invaluable book provides a survey of current trends and key players, placing them in the context of Tropicalismo and NeoConcretism – the movements that brought the Brazilian art scene to international attention in the 1960s. Although they are regularly challenged, both remain major sources of reference for artists today. Here are profiles of internationally recognised figures such as the artists Cildo Meireles, Beatriz Milhazes, Ernesto Neto and Tunga, and the collector Bernardo Paz (owner of the world-famous Inhotim sculpture park), as well as less well-known personalities, including the iconic curators Aracy Amaral and Walter Zanini, older-generation artists Augusto de Campos and Nelson Leirner, and younger-generation practitioners Jonathas de Andrade, Rodrigo Bivar and Cinthia Marcelle. Contemporary Art Brazil also features four scene-setting essays. The Mexican-born, London-based independent curator Pablo León de la Barra approaches Brazilian art from a non-Brazilian perspective. The art historian Kiki Mazzucchellireviews the history and critical importance of the São Paulo Biennial. Rodrigo Moura, editor, writer and curator at Inhotim, surveys the key trends in Brazilian art today. Finally, the Brazilian art historian, curator and writer Paulo Venancio Filho addresses the history of Modernism in Brazil. Offering a comprehensive survey of a vibrant country’s equally vibrant art scene.